A study published in The Journal of Pediatrics led by Matthew Giefer, M.D., director of gastrointestinal endoscopy at Seattle Children's Hospital, suggests that early-onset pancreatitis in children is strongly associated with certain genetic mutations and family history of pancreatitis. The researchers also found specific genetic mutations and family history were risk factors for developing the disease before the age of 6. Pancreatitis—a disease in which the pancreas becomes inflamed and internal enzymes irritate and damage the pancreas—is considered rare among children. But recent research has shown a rise in pediatric cases of the disease such that children are nearly as susceptible as adults. Currently one in 10 adults develop pancreatitis. For the recent research, Dr. Giefer and colleagues analyzed 342 children from birth to age 18 with acute recurrent pancreatitis (ARP) and chronic pancreatitis (CP) from INSPPIRE (International Study Group of Pediatric Pancreatitis), the nation's first and only multicenter, NIH-funded pediatric pancreatitis registry. Children in the study were divided into three age cohorts: children ages 5 and below (defined as having early onset pancreatitis), 6 to 11, and 12 to 18. 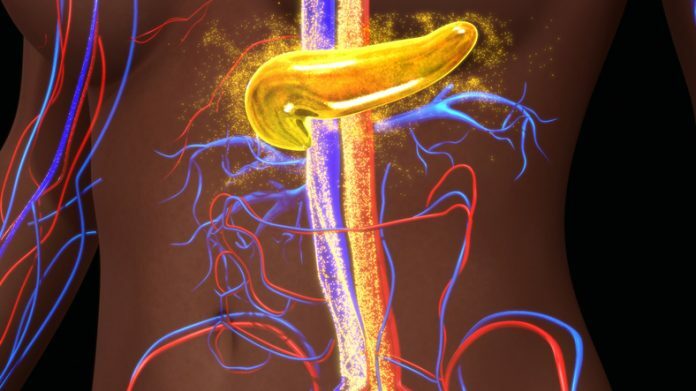 The researchers found strong correlations between in certain pancreatitis-associated genes and early-onset development, the study noted, with 71% possessing at least one pancreatitis-associated gene mutation. This number was significantly greater than the group with later-onset pancreatitis. The two common genetic mutations found in the group with early-onset pancreatitis were cationic trypsinogen (PRSS1) and chymotrypsin C (CTRC). PRSS1 mutations were found in 43% of patients, while CTRC was found in 14%. “Building upon previous data related to the PRSS1 mutations found in patients with early-onset pancreatitis, we learned that combined with our current data, patients with PRSS1 are more likely to have an aggressive disease course,” said Dr. Giefer. Using this new information, researchers will continue their investigation, with the hope of discovering whether the course of pancreatitis, response to treatment and outcomes are dependent on the age of the first pancreatitis attack in children.